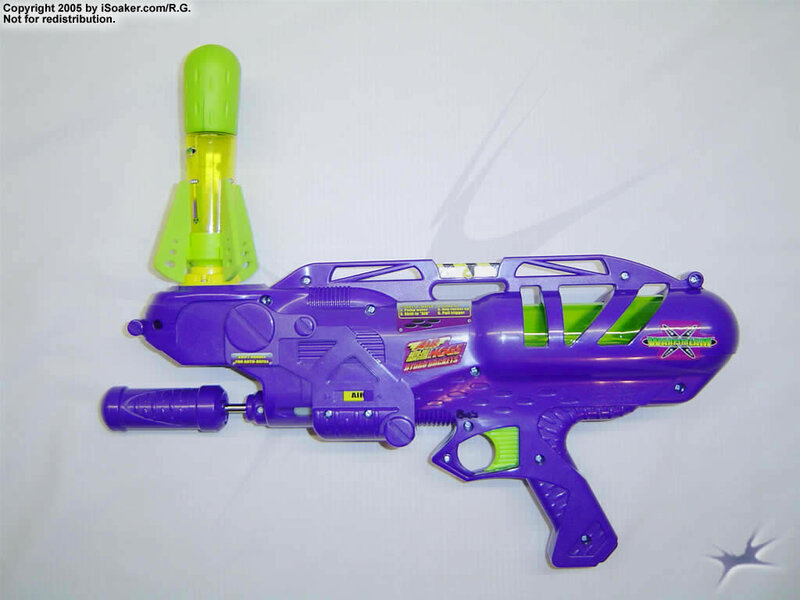 The Air Hogs: Warp Stream is one of two water-propelled rocket launchers manufactured by Spin Master Toys. Using both pressurized water and air, this launcher can fire up its rockets to heights over 130 feet! Like the Air Hogs: Vector, this device should not be considered as an offensive weapon nor as a water-delivery system. The majority of the pressurized water ends up blasted out of the rocket in the first second. This results in the user feeling most of the wetness. Protective tabs in the launcher prevent the rocket from firing correctly unless the rocket is pointed directly upwards. Arming, pumping and launching these water based rockets is not difficult once you get used to the load, pump water, switch, pump air, then fire sequence. Rockets can also be launched using only air pressure, but they do not fly as high. The rockets, thankfully, are foam topped. Their fins are also made of foam and the pressure chamber is made of a light-weight plastic. The Air Hogs: WarpStream is meant for use mainly as a signalling device and should not be used as an offensive weapon. It is, however, water powered, making it fun to use on those hot summer days. Potential uses include a signal to determine when the water fight begins/ends, a signal flare for a group to attack, a positioning beacon, a visual distraction, etc. Small, unique, high-flying water/air-propelled rocket launcher. Power and payload are decent for a device of this size. 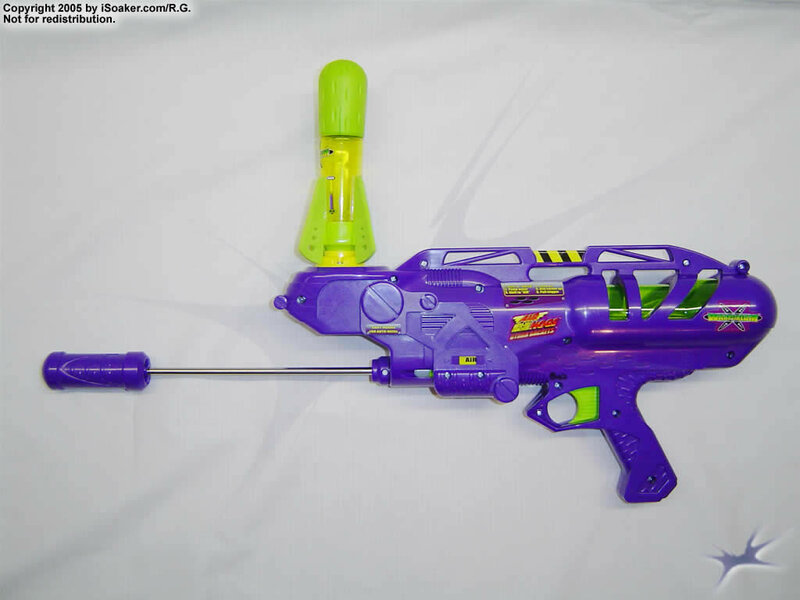 Not actually a water blaster. User gets wet when using this device to launch rockets. Rockets should be handled with care since they are made of foam and light plastic. There is also no way to depressurize the reservoir when one wants to refill.